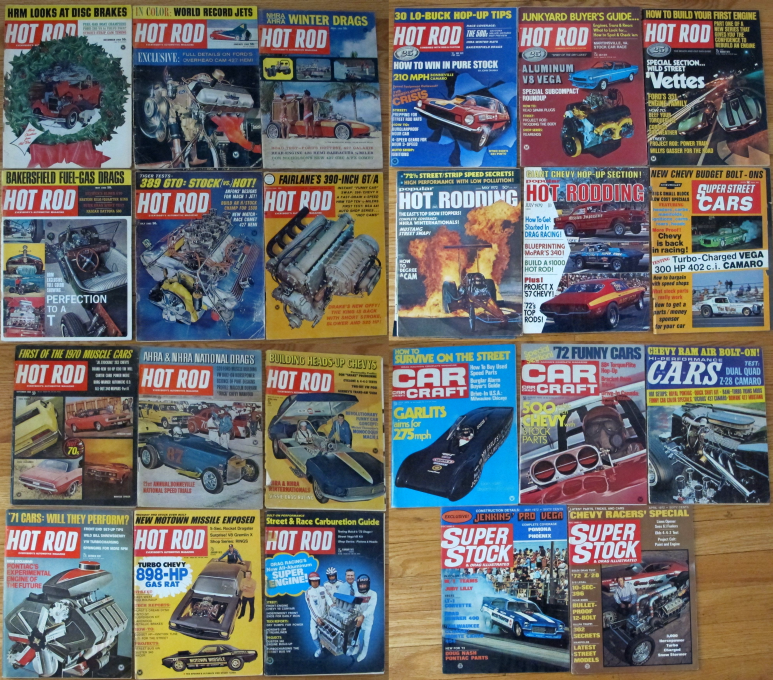 Here is a collection of Hot Rod Magazines spanning 1964 to 1972. 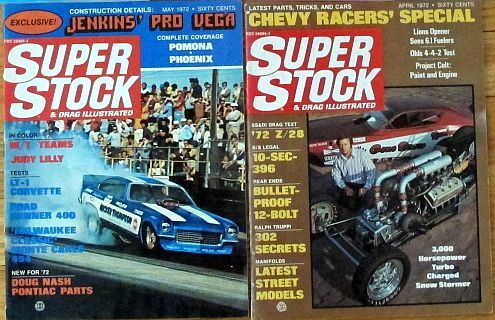 Also included are two issues of Popular Hot Rodding, one issue of Super Street Cars, two issues of Car Craft, one issue of High Performance Cars, and two issues of Super Stock. The magazines are well used, but readable. 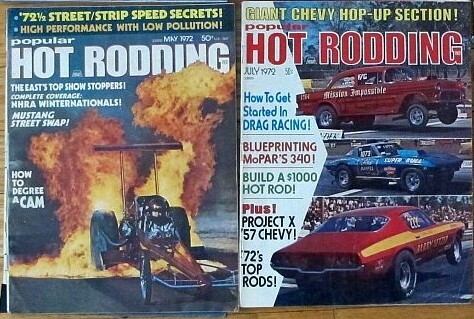 A few have torn covers. 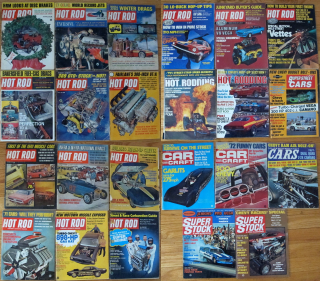 The magazines are being offered at $2.50 each or $40.00 for all 23 magazines. Click/tap on the pictures below to see a larger picture.